The rally ran out of steam on Wednesday into the close. I suspect the wall of resistance is formidable enough, as bigger names are going to have to post strong results and solid guidance. Meanwhile, after spinning everything out of Washington, D.C. as a potential Constitutional crisis last year, the financial media have gone from calling the shutdown a nuisance (because it’s hard to suggest impeachment due to long lines at the airports, and even then, some live reports saw lines that looked shorter than usual) to a nuclear bomb that will blow up the economy. There are a lot of unresolved issues that will be resolved. For the most part, we could see historic changes ushering in the economic opportunities that would have never materialized otherwise. Meanwhile, the fear-mongering will increase, and there will be some down sessions, and then they’ll layer it on even thicker. Could you imagine if the market was down as much as it’s up since the partial government shutdown? Yesterday, we go the latest Federal Beige Book read. Some retailers and manufacturers raised selling prices. Most respondents said their outlook was positive, although somewhat less certain than earlier. Input costs and selling prices rose at a steady pace. Holiday season sales were a bit on the sluggish side, but still up from a year ago. Tourism remained brisk. Lack of qualified labor continued to constrain hiring and raise wage pressures. Firms remained generally positive about the six-month outlook. Upward pressure on costs and selling prices continued. Nonresidential construction continued to be strong and housing demand stabilized. While many service sector industries saw growth, manufacturers reported a decline in shipments and orders and faced higher input costs due to tariffs. Holiday sales were solid. Manufacturers noted a decrease in new orders and production. Wages for farm income improved as corn, soybean, and wheat prices moved higher. Reports from contacts indicate that economic conditions have continued to improve, although the pace of growth has slowed since our previous report. District manufacturers indicated that business conditions were strong and generally expected to continue, with upbeat outlooks for the year to come. Holiday retail spending was strong. Economic activity has been flat since the previous survey, but expectations were generally positive. A broad-based deceleration was seen across manufacturing, services, retail, and energy. Hiring continued, and widespread labor shortages further elevated wages. Price pressures eased slightly. Labor market conditions remained tight, and price inflation was flat. Sales of retail goods expanded moderately, and activity in the consumer and business services sectors was solid. John C. Bogle, Founder of Vanguard Group, died at 89. Yesterday, tech and communication services saw hot money go into bank stocks, but that could reverse today. Morgan Stanley (MS) just laid an egg, including a big miss on FICC business. Ironically, the market hasn’t suffered even as Morgan Stanley shares are under immense pressure. By the way, please don’t conflate mixed to largely disputing results from U.S. banks as a reflection of the economy. On the contrary, most have shown solid business growth and limited domestic concerns. On that note, I would love to see banks actually lend money, especially to main street, and stop relying so much on trading, which they botched under the perfect scenario of wild gyrations. Keep an eye on the Russell 2000, which continues to rally this year, up almost 8% already. Like all large equity indices, the index is right at a key resistance point. I think this goes beyond the so-called January Effect. There are a lot of biotech names in the index and there have been high profile deals in the space. Initial Jobless Claims came in better than expected and belie the notion the country is in a state of havoc, including the government shutdown. 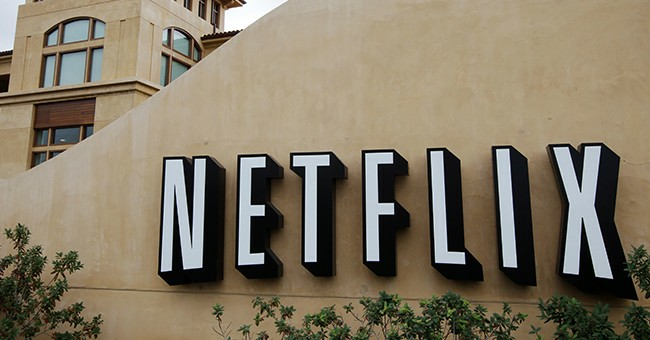 Today is all about waiting... for Netflix (NFLX) to post results after the close.